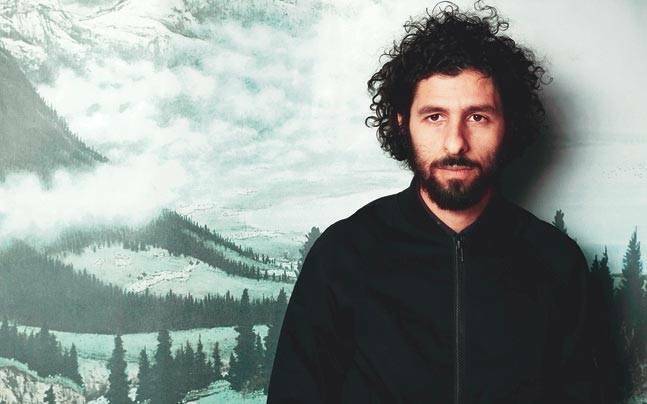 Chances are Swedish singer-songwriter and award winning folk musician Jose Gonzalez hasn’t been on high rotation on your playlist lately. The son of immigrants who found refuge in Sweden from political instability in Argentina in the late 1970s, Gonzalez for the best part of the last decade has kept a low profile. However, with the release of his third studio album Vestiges & Claws last year, Gonzalez has made his way back into the charts and on to the touring circuit once again. His upcoming tour of Asia kicks off in Hanoi this Tuesday Nov.22, and in between sets, Gonzalez hopes to learn more about Asia’s cultures and peoples, not least Vietnam’s. This time around in Vietnam however, Gonzalez and his band won’t get much of an opportunity to see the sights and taste much of the food, something Gonzalez is disappointed about. It’s been 13 years since Gonzalez released his debut album Veneer to critical acclaim, which went on to sell over 700,000 copies worldwide largely off the back of his cover of Heartbeats written by fellow Gothenburg electronic duo The Knife. Following the success of Veneer, Gonzalez released his second album In Our Nature, again with great success with the memorable Down The Line and another cover, Massive Attack’s Teardrop driving its success. Gonzalez soon built a reputation for mastering covers. It took another eight years for Gonzalez to release his third and most recent album Vestiges & Claws claiming IMPALA Album of the Year for independent artists in Europe along the way. “I enjoyed getting that prize because it’s an effort to promote independent music in Europe,” says Gonzalez who plays down his success including any suggestion that it has proved his critics, if any, wrong. Gonzalez says that it took him so long to release Vestiges & Claws partly because of his commitments to folk rock band Junip, but mostly because he’s been trying to live a “normal life”. Although he’s kept himself busy doing other things outside of his music [Gonzalez has taken up jogging], he likes doing them in his own time. His laid back nature during the interview belies the image of a musician on a whistle-stop tour of the world. Gonzalez’ latest music signals a departure from lyrics that told us how life was from his perspective to lyrics that attempt to show us what’s out there if only we give in to the light. In his own words, perhaps the song that best exemplifies this is What Will with its opening What will it be? Our legacy, Lazy acceptance of them all.